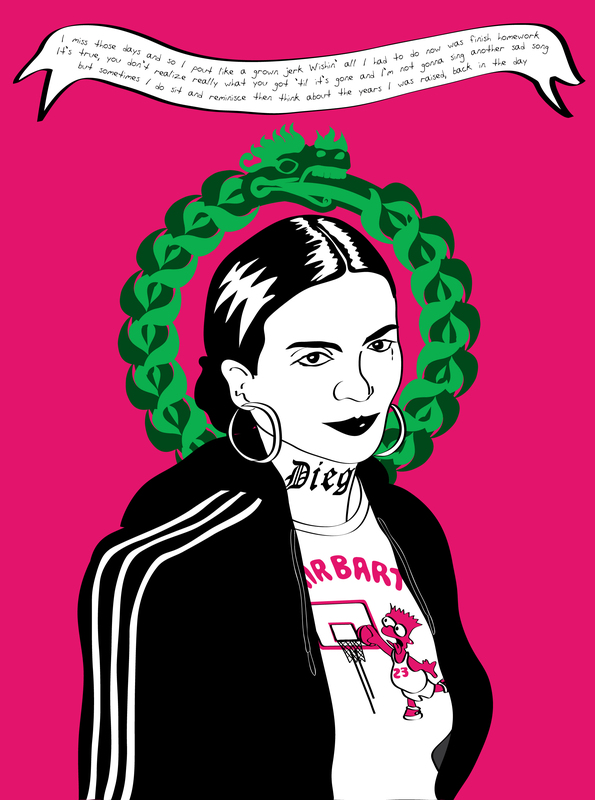 I’m proud to introduce my newest print, a limited edition silkscreen Ghetto Frida artwork, printed by Jesus Barraza of Taller Tupac Amaru. Jesus took the wheel and the results are amazing. The image itself is a nostalgia piece dedicated to 90’s culture in the Mission District. Front and center is a bootleg Bart Simpson t-shirt, to me the most universal signifier of youth culture in the neighborhood in the early 90’s. An era where countless stores lined Mission street displaying these bootleg Bart shirts on their awnings as if they were patriotic flags. The lyrics used in the scroll are from Ahmad’s “Back in the Day” the greatest sentimental hip-hop song of all time. 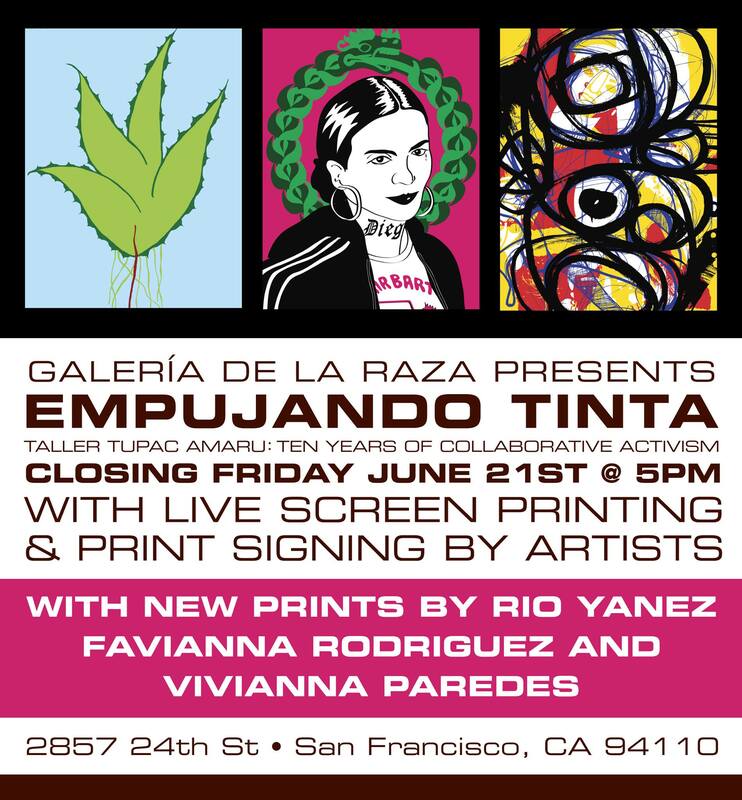 You’ll be able to buy the print in-person 5:00 PM-10:00 PM Friday, June 21ist at Galeria de la Raza as part of the closing reception of their Empujando Tinto exhibit. My print will be debuting alongside new prints by Favianna Rodriguez and Vivianna Paredes. 17.5” X 23”, Signed and numbered edition of 56. $75 each. On sale online at rioyanez.com (starting June 25th, 2013). Previous postGet my new limited edition silkscreen print here!